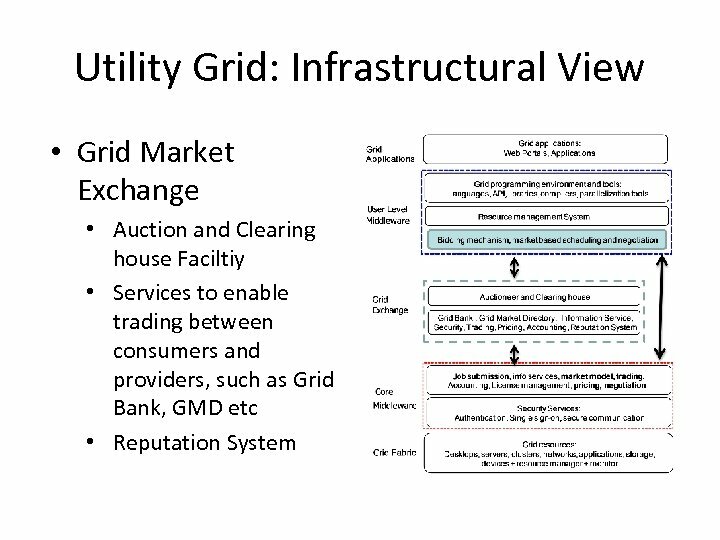 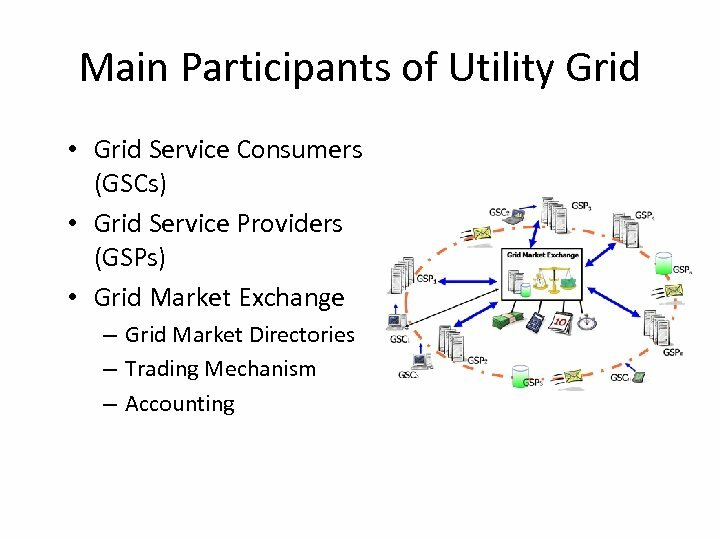 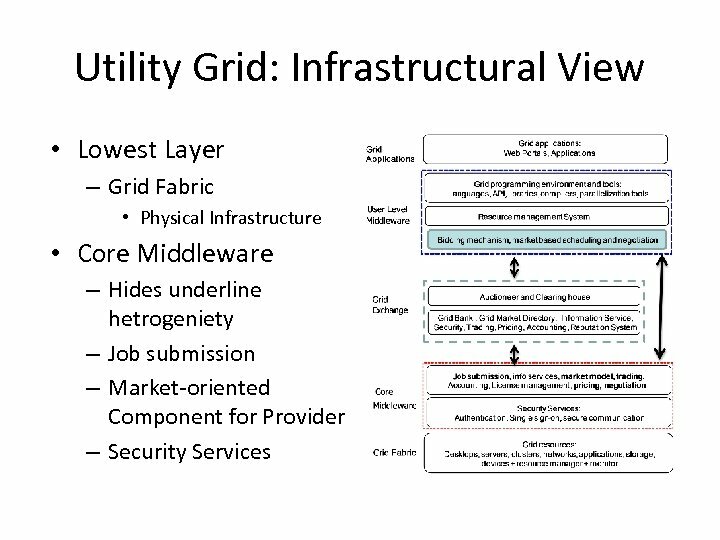 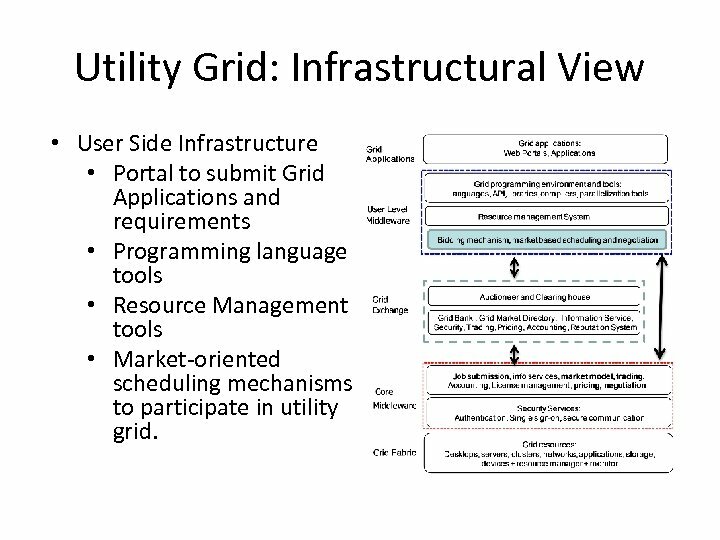 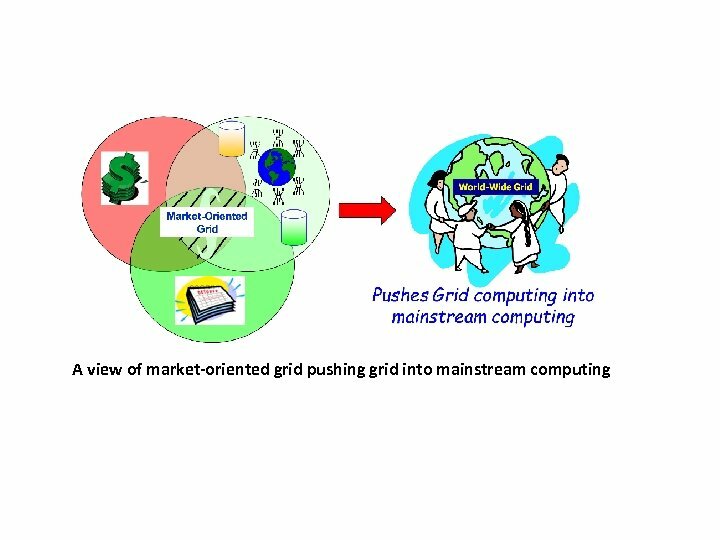 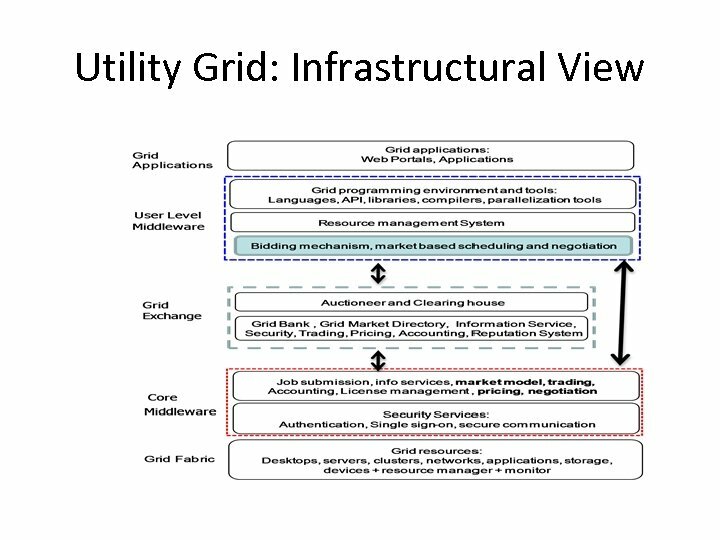 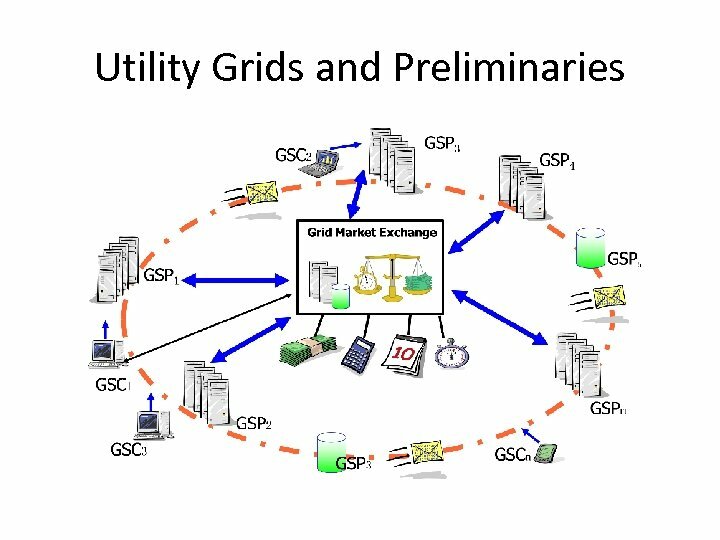 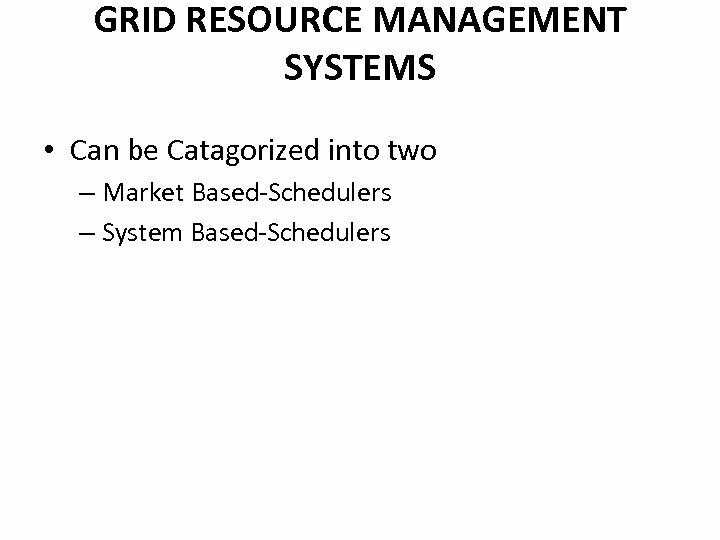 Utility Grid: Infrastructural View • User Side Infrastructure • Portal to submit Grid Applications and requirements • Programming language tools • Resource Management tools • Market-oriented scheduling mechanisms to participate in utility grid. 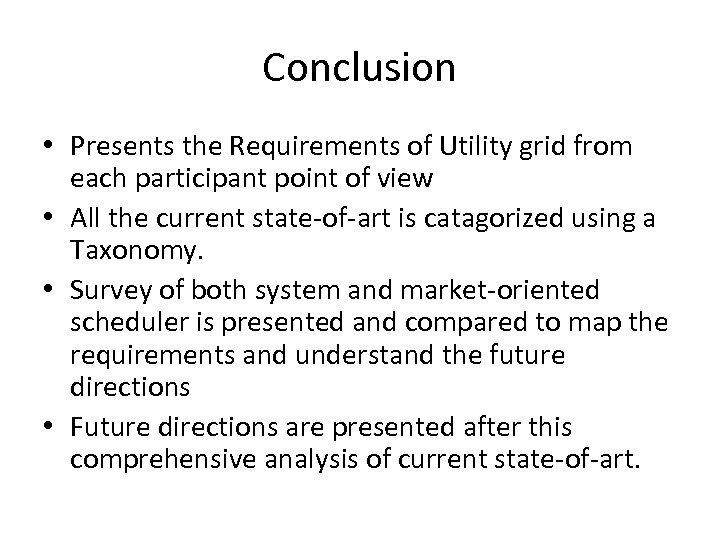 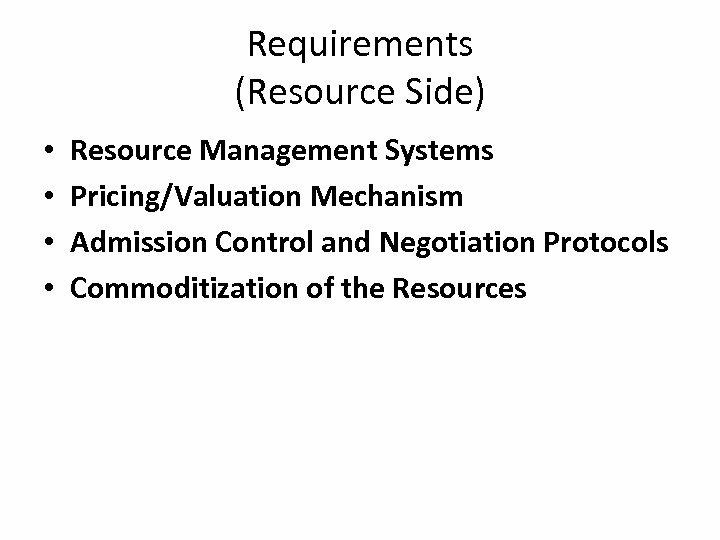 Conclusion • Presents the Requirements of Utility grid from each participant point of view • All the current state-of-art is catagorized using a Taxonomy. 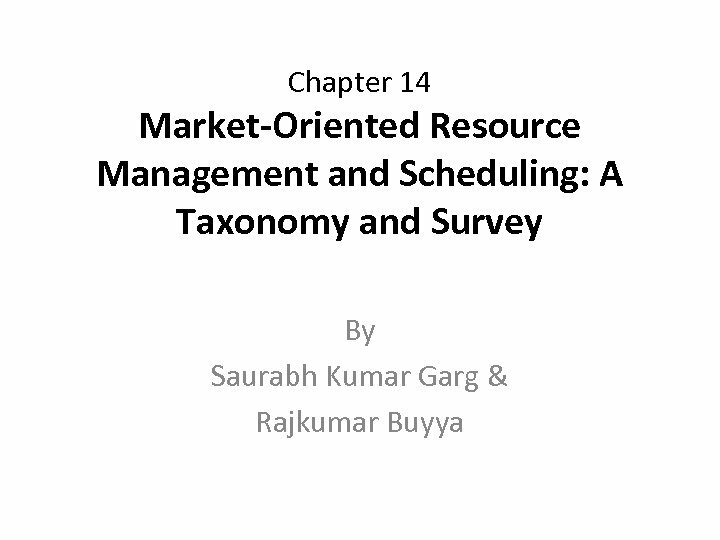 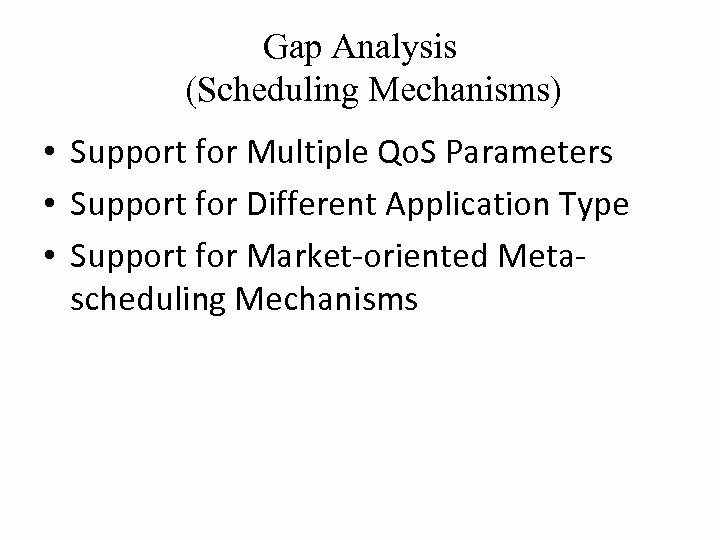 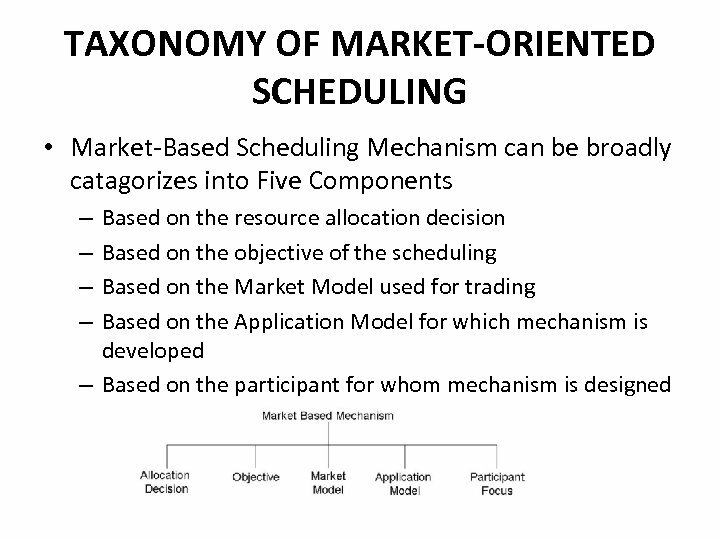 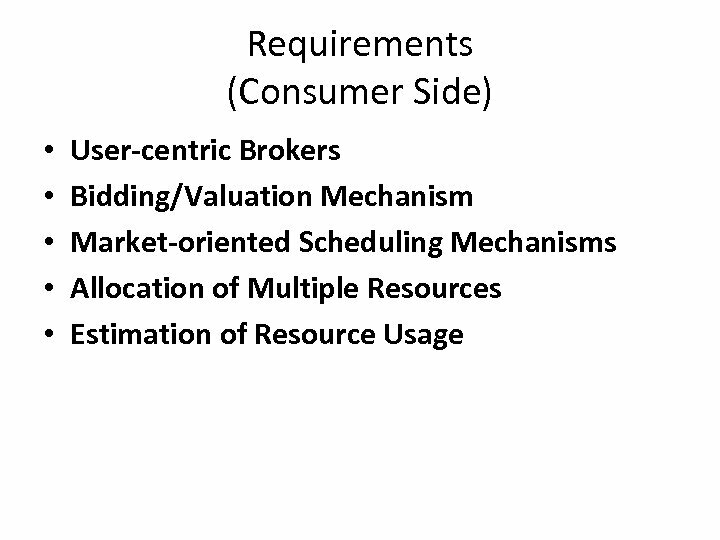 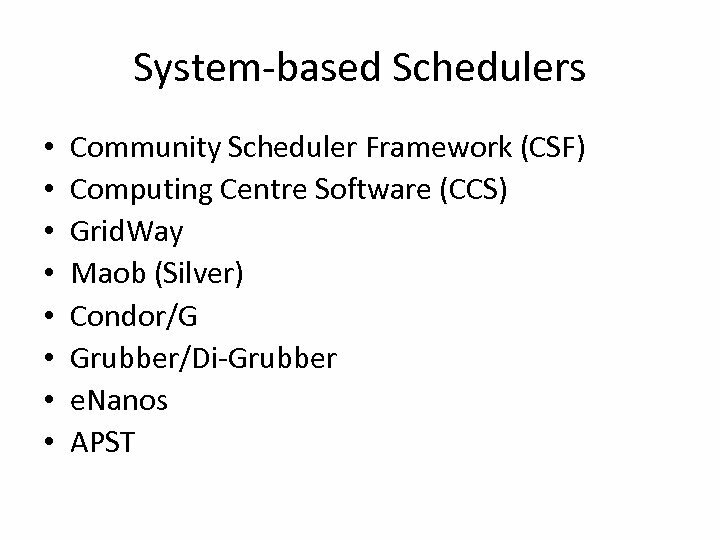 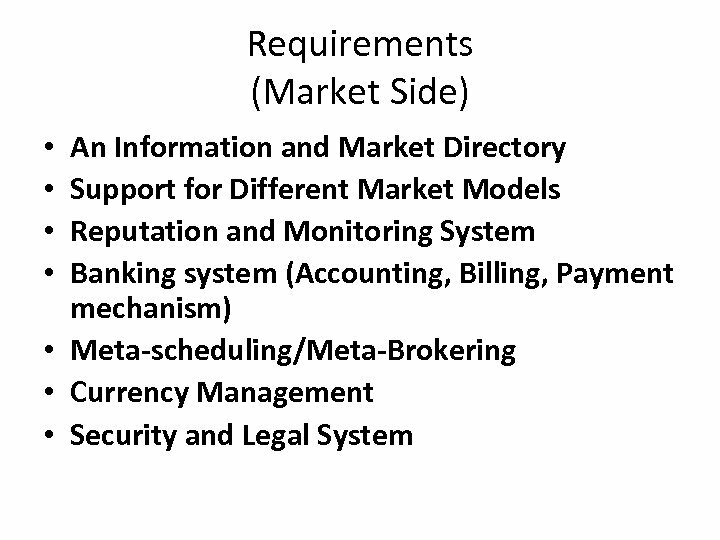 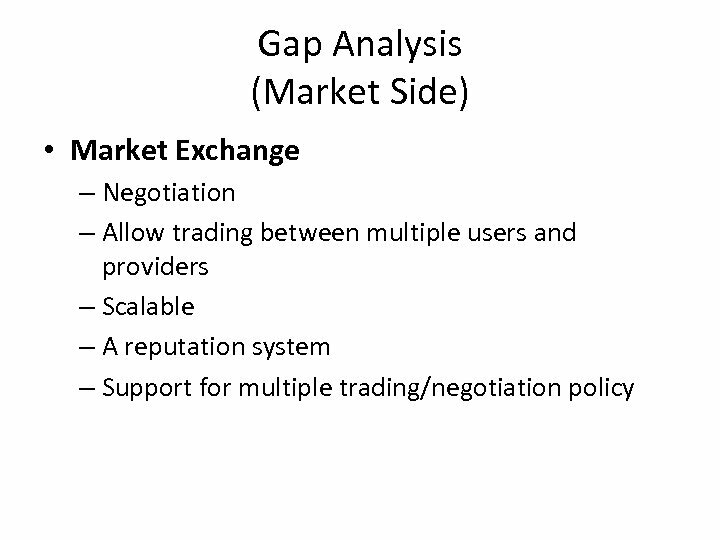 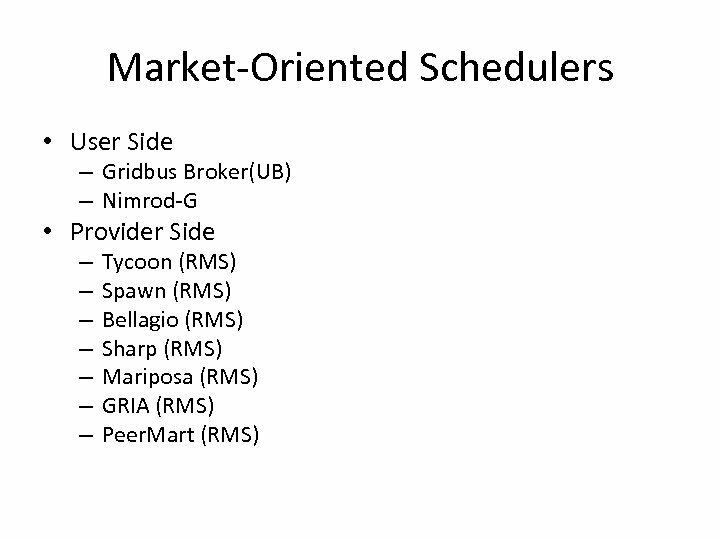 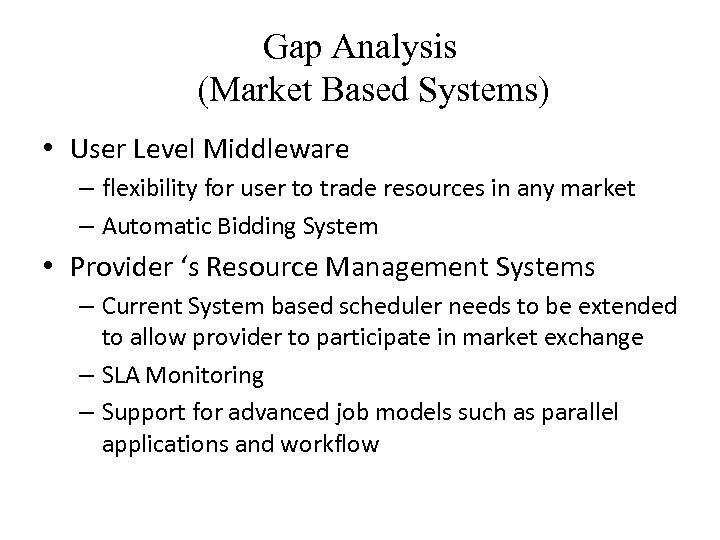 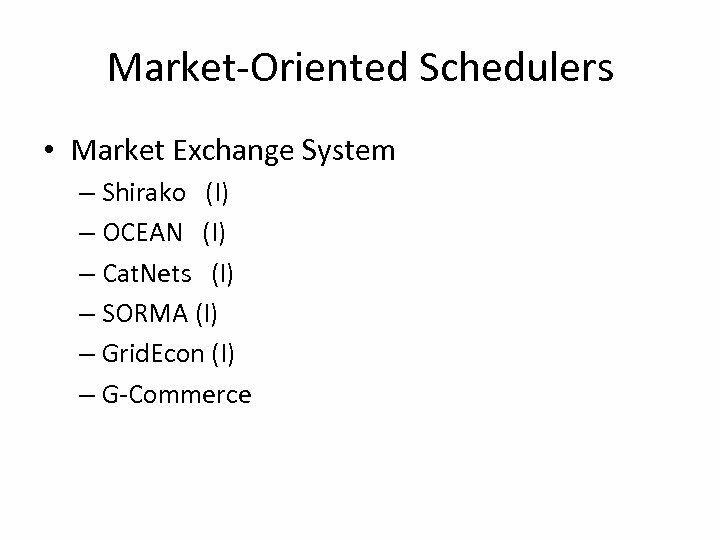 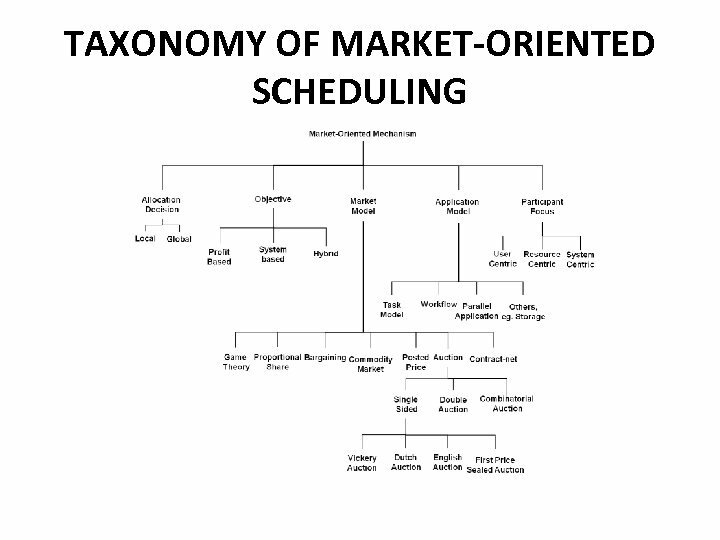 • Survey of both system and market-oriented scheduler is presented and compared to map the requirements and understand the future directions • Future directions are presented after this comprehensive analysis of current state-of-art.